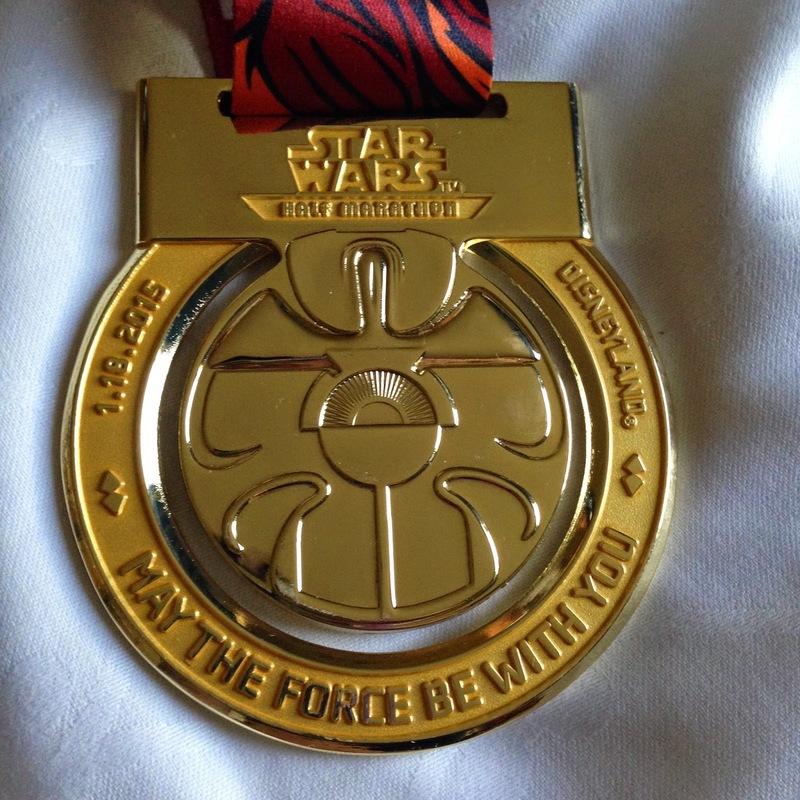 This weekend in January for the last three years has been Disney's Tinker Bell Half Marathon weekend, but for 2015, they decided to move that to May and to have, instead, the first-ever Star Wars Half Marathon weekend. 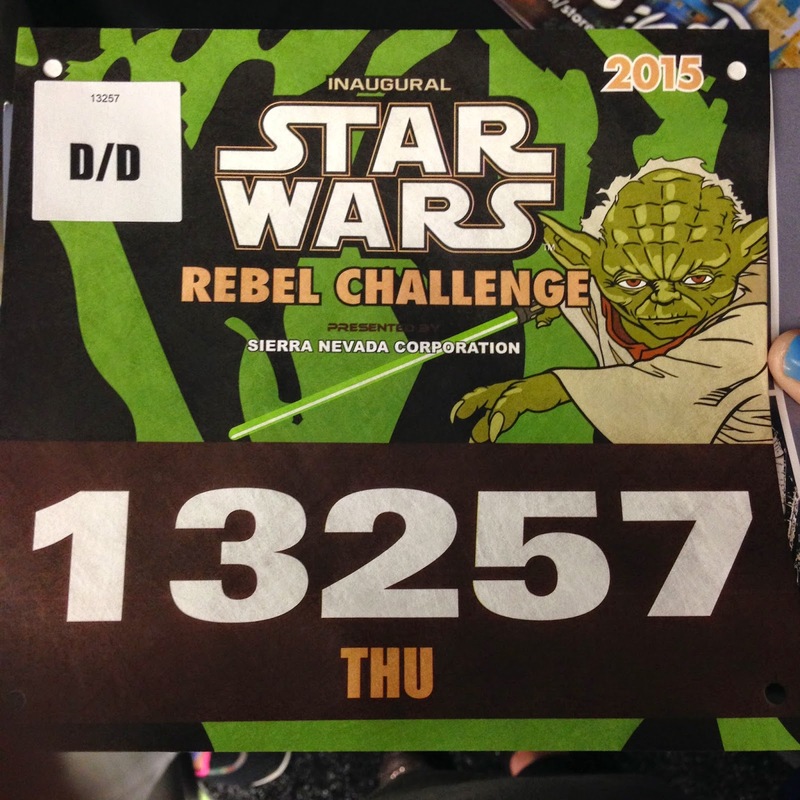 And of course, not only did I HAVE to do it too (I'm not a Star Wars super fan, but I do love the original three movies more than I love Tinker Bell, actually), but I just HAD to sign up for the Rebel Challenge: the 10k and the half marathon on back to back days. Be crazy I must. I haven't been running a ton since my marathon, mostly due to a really bad sore throat, but I did manage to get in 17 miles last week and 11 miles the week before that (with long runs of 10 and 6 miles, respectively), so I wasn't going into it cold by any means, and I did get in a double-digit run just to get my body up to speed. Of course, a 10-mile long run is great for a half marathon, but for a 19.3 mile weekend (even if it's broken up)? I can't say I wasn't nervous. I wasn't scared about not finishing, but about finishing really slowly or really miserably. At any rate, I was still excited. I don't have it in me to do cool costumes, but I was looking forward to seeing what other people would wear and also just to run through the parks again, which is one of my favorite things about Disney races. 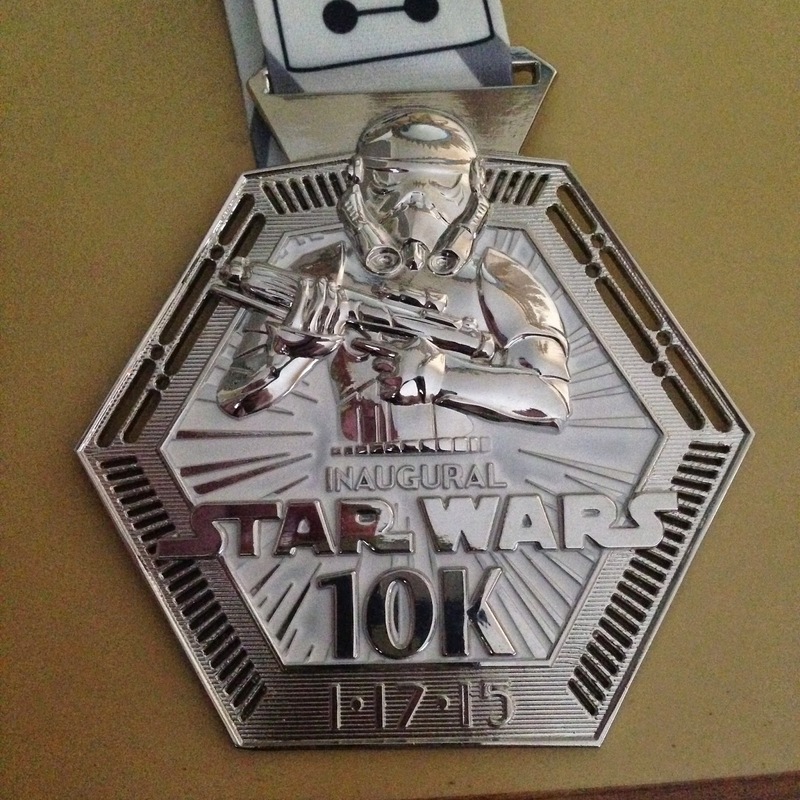 The other thing I was SUPER looking forward to was the medals :) But more on those later. I was a little disappointed in this at first, because my bibs usually end up thrashed by the end of a race (hell, they superbly crinkled even just sitting in my swag bag as I'm walking around the expo), and I like to save mine, but I suppose it was because they wanted my two race results recorded on the same timing chip. They seemed to take the challenge-tracking stuff pretty seriously because I had to have my photo taken with my bib right after pickup so that they could have photo verification when it came time for me to pick up my challenge medal. The 10k was first thing Saturday morning - day 1 of 2 where I would be getting up at 4:30 in the morning. (It's a good thing I've been pretty much doing that since August, yeah? Yay for me!) I'm not sure how many participants there were officially. 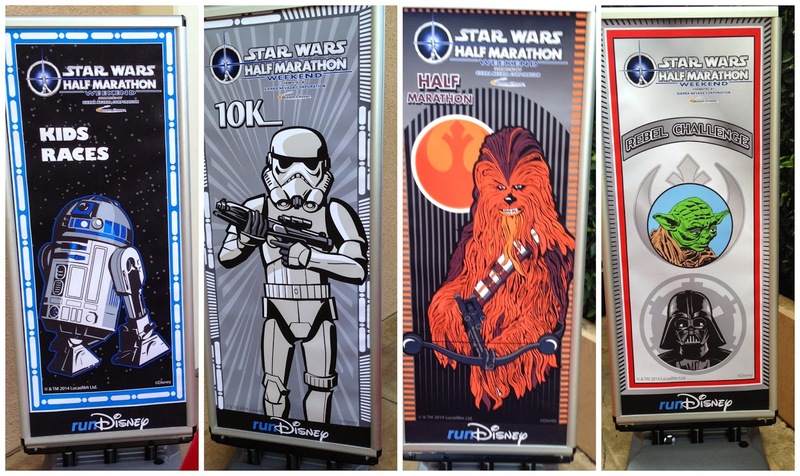 I've never done a Disney race that wasn't a half marathon, so I don't know what's typical. Something I noticed was that there were some pretty involved costumes going on, since it's a lot easier to deal with props for 6.2 miles than 13.1. 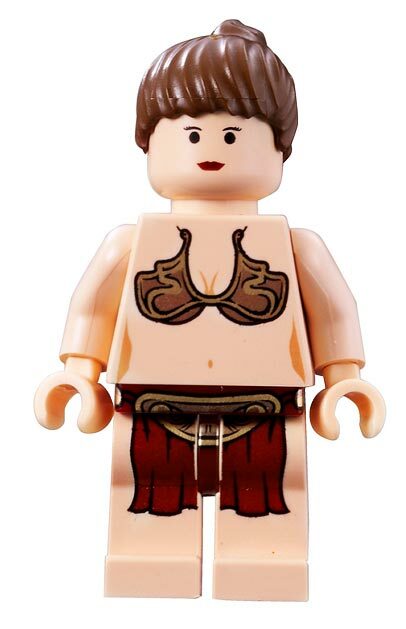 For example, one person I saw early on was dressed up as Lego Bikini-Leia, meaning, she was running in a ginormous cardboard box for a body and even cardboard "thighs" that had holes cut out of the back (as Lego mini-figures do). I also saw a couple dressed up in matching tie fighter costumes, with cardboard strapped to their arms. I also saw a guy dressed up as the actual Death Star, so he was wearing a big spherical thing (I have no idea what it was made of) as he was running. 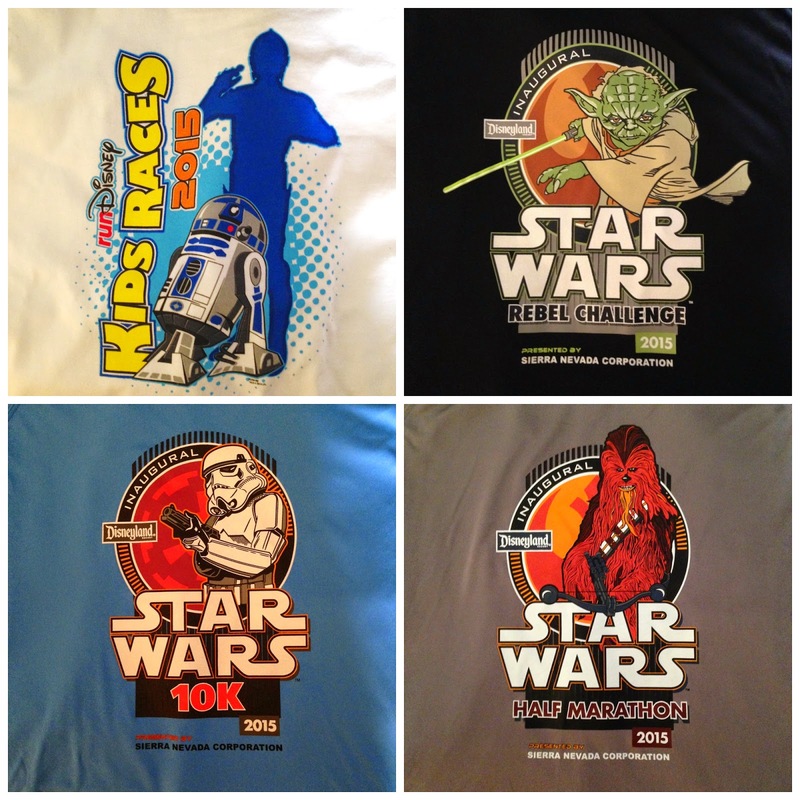 One of my favorite things was a group of runners dressed as Ewoks wearing shirts that said "Ewok and run" (giggle!). Fewer people wearing tutus, but still a lot of people not obeying the rules of the road - I actually yelled at someone for coming to a dead stop right in front of me to selfie. Afterward were the kids' races. Again, LOTS of costumes, but this time on adorable tiny humans. Jolie wanted me to run it with her (and insisted that I hold her hand). 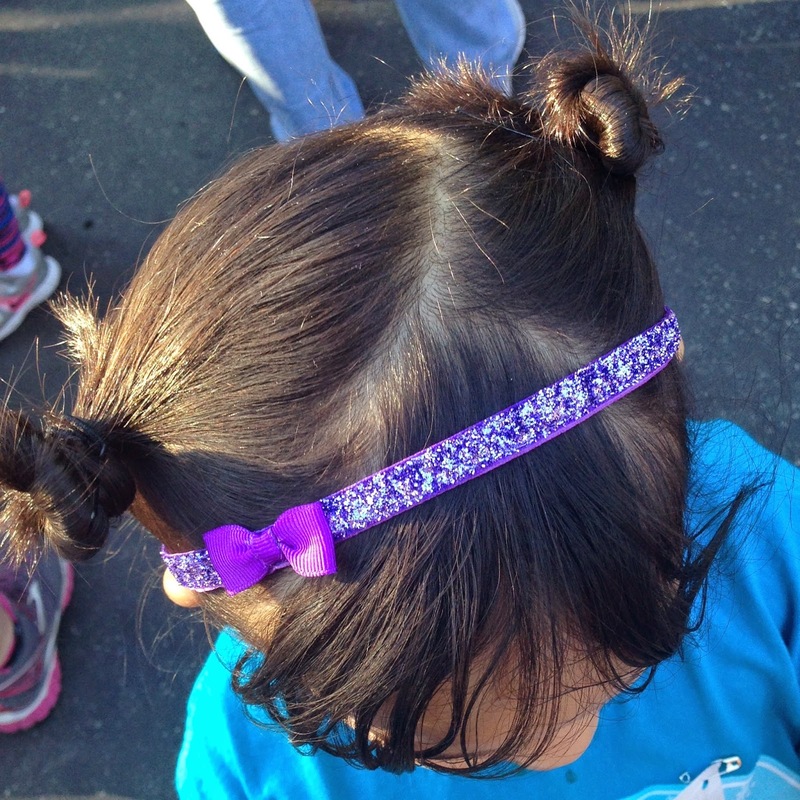 There are three races, in this order: the 100m dash for 2-3 year olds, 200m dash for 4-6 year olds (Jolie's group), and the 400m dash for 7-8 year olds. The problem with letting the littles go first is that the rest of us had to wait a looooong time, because little, little kids don't always know what's up - I didn't see it, but my parents (who were among the spectators) said that the first race took so long because some of the kids were confused or crying or just took a while because they take smaller steps, so the rest of us in the staging area were just getting really frustrated and restless. Then they had to move the start line for the next group before letting us all get into lines, and they only let four or five kids go at a time, so it took forever. 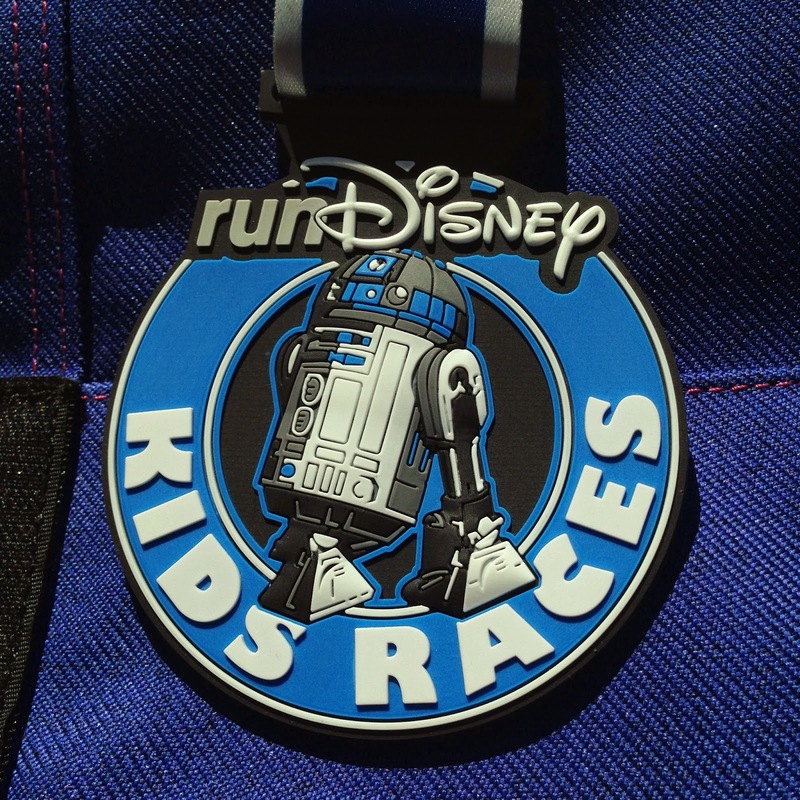 Dear runDisney: Let the big kids go first. The 7-8 year olds know what they need to do, and they are old enough to run without the assistance of their parents, and it could've been over just like that, and you could've had the middle group ready to go a lot sooner. JUST SAYIN'. 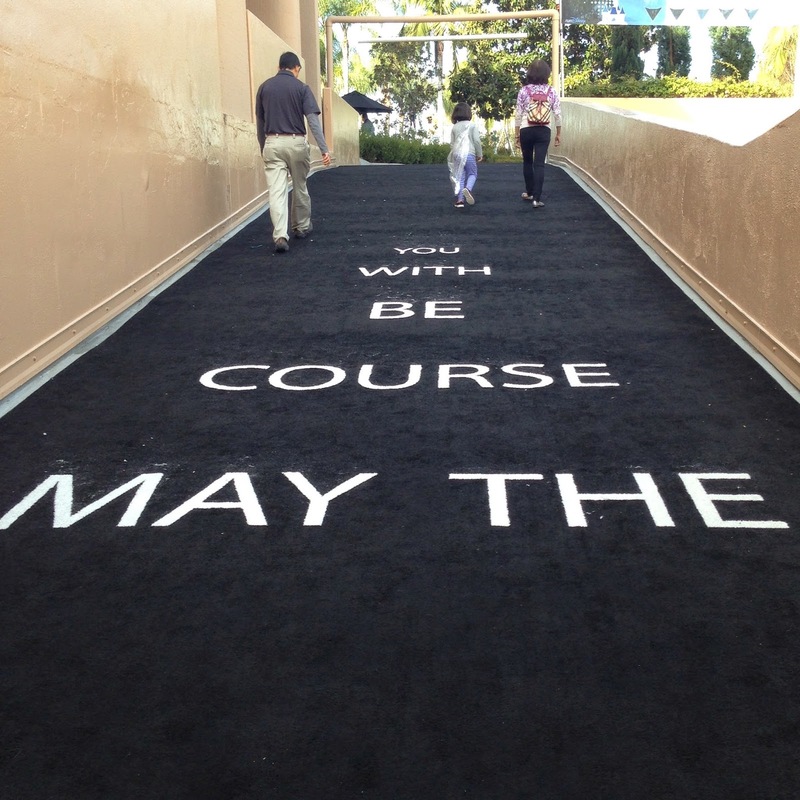 Now, I have to say that when you run a race at Disneyland, you also feel compelled to visit the parks, but honestly? Not such a great idea to run a 10k, then spend evening walking around (California Adventure Park), and then get up the next morning to run a half marathon (and then walk around Disneyland after that.) And we only had twilight tickets, so we didn't even walk around the entire day, but oh man, I should have thought to preserve my legs. cosplayers or something. Star Wars fans are the besssssst. Sunday morning, up again at 4:30, this time to run more than twice the distance on tired legs. You can believe I was cursing myself inwardly the whole time. I tried to convince myself to take it easy, but mentally I was like, Oh hell no, you keep going!!! and after the course took us out of the parks and onto the streets of Anaheim and south into Garden Grove, the pathways were wide open and I could push the pace a little faster. Of course, my legs were pretty exhausted after, oh, the first four miles, so I was struggling to keep the 4/1 intervals from pretty early on. Eventually I decided to split them into 1:45/0:45/1:30/1:00, which was a lot more bearable and helped me run a faster pace when I was running. So yeah, I was really exhausted, and I knew that I could "give up" and just walk most of it and still finish on time, but I also knew that I would hate myself for it if I held back. Mind you, there's nothing wrong with walking most or even all of a race; I used to do that when that was all my body could handle. 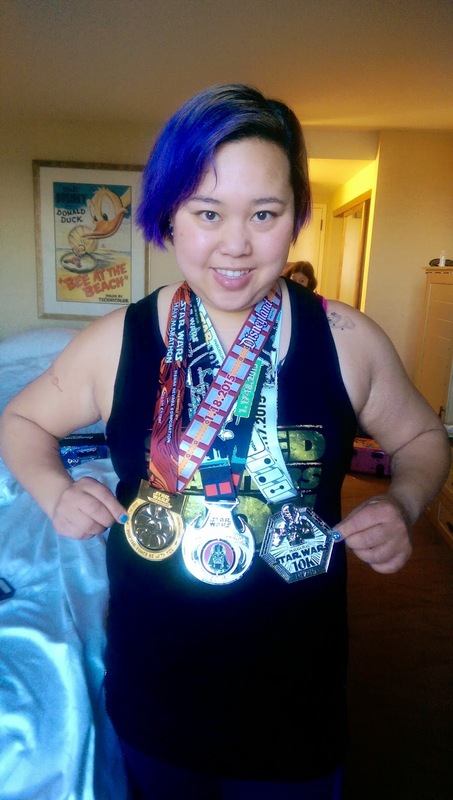 But that wouldn't have been the case for me - I wouldn't have been walking because that's what my body needed; I would've been walking because I was letting the Blerch win out, knowing that my body was capable of giving more. I had a time goal, and I met it: 2:49:18, putting my overall pace at 12:55. It's not a PR, but it's a recent best - my PR (2:44) is from May 2013, and my second fastest time (2:47) was from four months before THAT, so this is my fastest time in quite a lot of months, beating my previous recent best (2:59) from the San Jose RnR this past October. And again, I did this on tired legs - I ran over twice the distance from the day before, and my overall pace was only slower by 25 seconds. I am DAMN proud of myself, not just because of my time, but because I didn't let the Blerch triumph this time! The center thing spins. Darth Vader is on the other side. I definitely had loads of fun this weekend, and though I wasn't initially planning on doing it again next year, I am now considering coming back for it (especially since my dad was all, "Maybe I should do the 10k with you next year!") The half marathon course was different from the Tinker Bell one, and I think I actually liked it better, just for the sights and sounds and for NOT making us run back and forth over I-5 multiple times. I wouldn't mind running this one again. 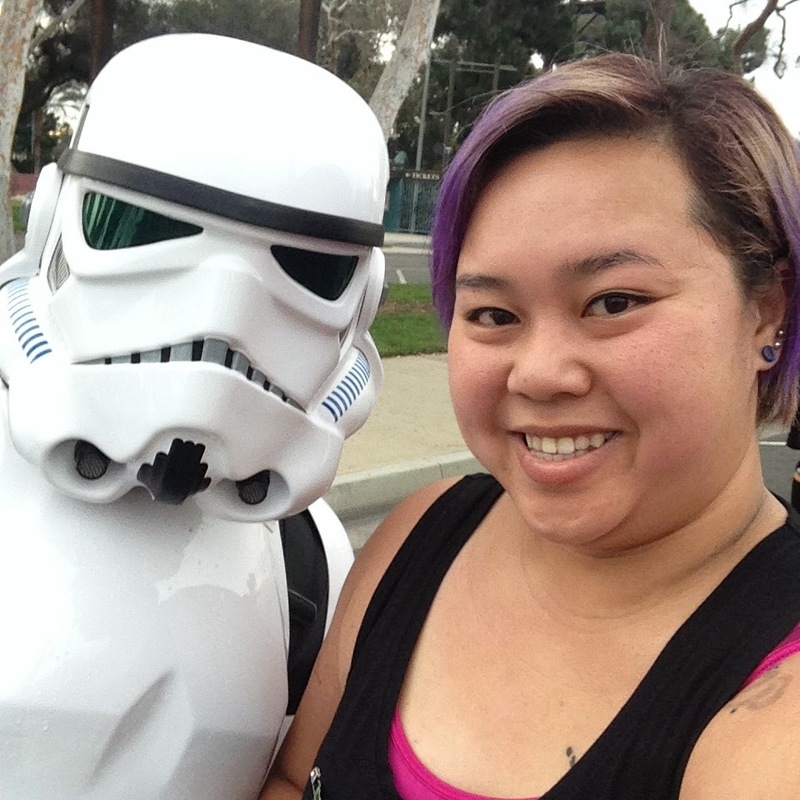 Also, it's just RIDICULOUSLY awesome to run to the Star Wars theme song! It's the BEST! 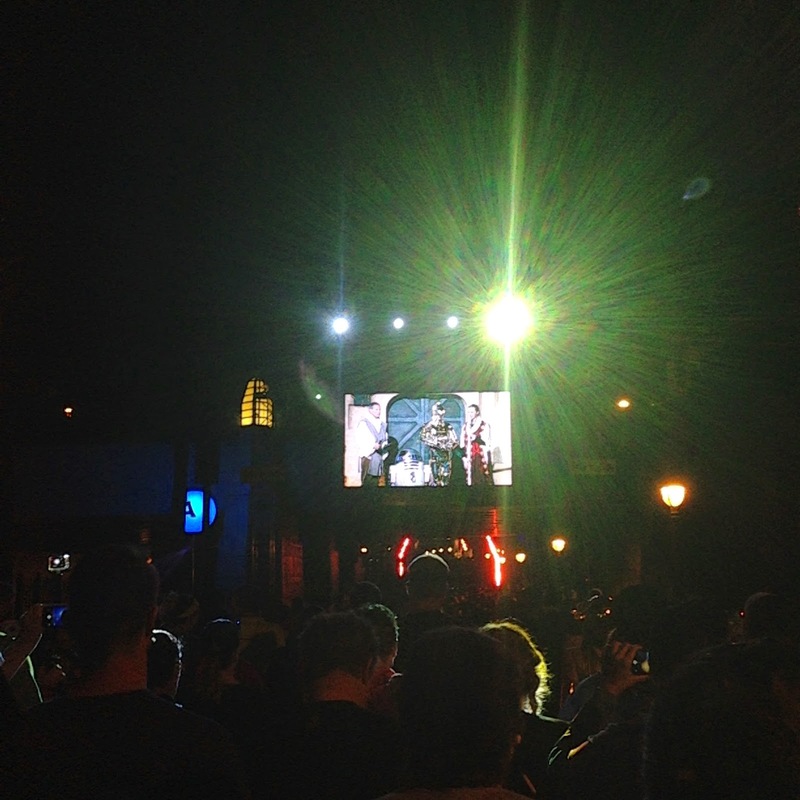 They were blasting it all over both parks (in addition to the other recognizable themes, of course). I'm going to have to add that one to my running playlist. 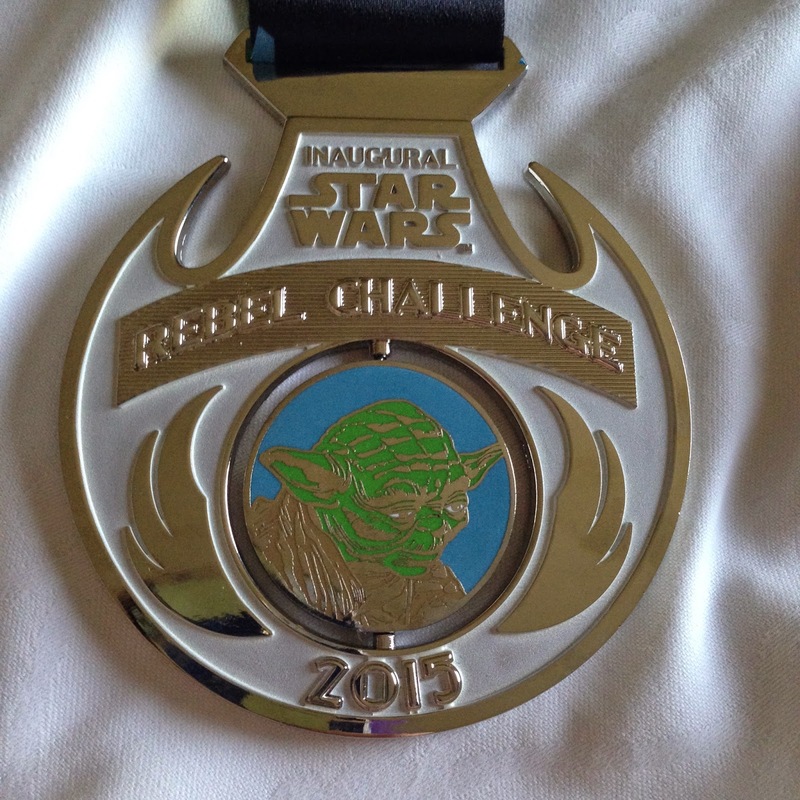 Next on deck: having completed the Rebel Challenge, I have a couple weeks to take it easy before breaking out the big guns again for the Kaiser Permanente Half Marathon in San Francisco.